FACT 1- Medical negligence is a SERIOUS national problem: Up to 195,000 patients die each year from preventable medical errors in hospitals. FACT 2- According to the American Medical Association, the number of doctors has INCREASED in every state over the last several years: Some claim the number of physicians is decreasing due to malpractice liability insurance premiums. It’s simply not the case. FACT 3- Malpractice claims are NOT driving up doctors’ insurance premiums: Premiums rise and fall with the state of the economy. Inflation and other insurance-industry forces drove up doctors’ insurance premiums more than lawsuits. In fact, insurers raise rates even when their casualty payouts decrease. 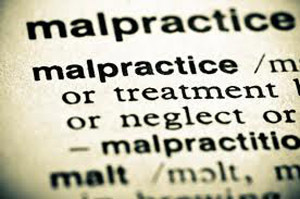 FACT 4- Malpractice claims do NOT drive health-care costs up: Malpractice costs amount to less than two percent of overall health-care spending and have remained so for years. FACT 5- Caps on claims awards do NOT lower doctors’ malpractice insurance premiums:Insurance premiums in states with caps are nearly ten percent higher than in states without caps. FACT 6- Insurance reform does NOT lower medical malpractice insurance rates: Premiums in California rose 450 percent between the passage of a cap law in 1975 and meaningful insurance reform in 1988. FACT 7- High premiums are the direct RESULT of bad insurance-industry conduct: A coalition of public-interest organizations found that malpractice premiums increase when investment values decrease. FACT 8- The insurance industry makes annual windfall PROFTIS: Insurers earned an estimated $65 billion in 2007.